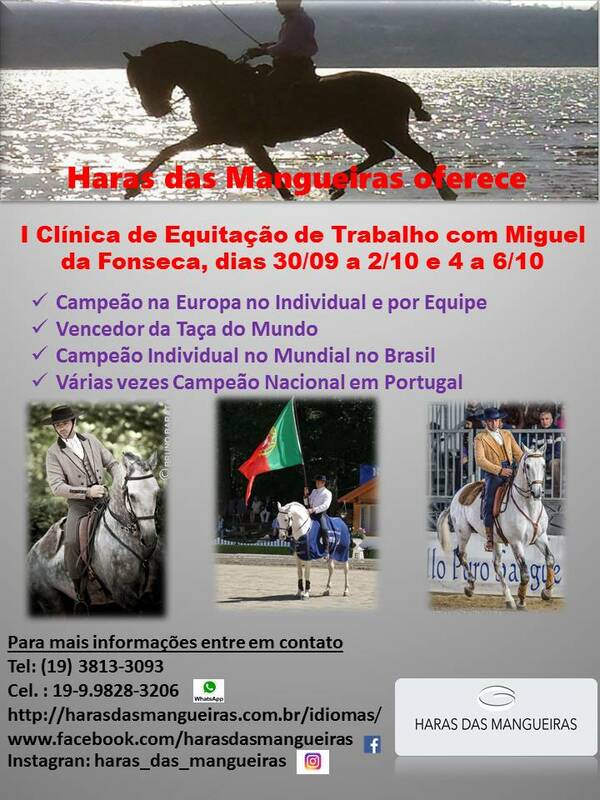 October will be a very exciting and busy month at Haras das Mangueiras! Come and have fun with us! Clinic with the Worldwide Working Equitation Champion Miguel da Fonseca! Two groups of 10 people each. The first from Sept 30 to Oct 2, and the second from Oct 4 to 6. Following the clinic on Oct 7 and 8 the IV Stage of the 2016 Brazilian Working Equitation Championship and on Oct 9 the V Stage of the Paulista Dressage Championship.